bought this off another cafords member, and at one point it belong to Norman Chang...the main harness and injector harness is in good condition...the system is currently running on a turbocharge mustang, you can come and take a look at the car running (serious people only please) with FAST system... the system is coming off in the next couple of weeks. 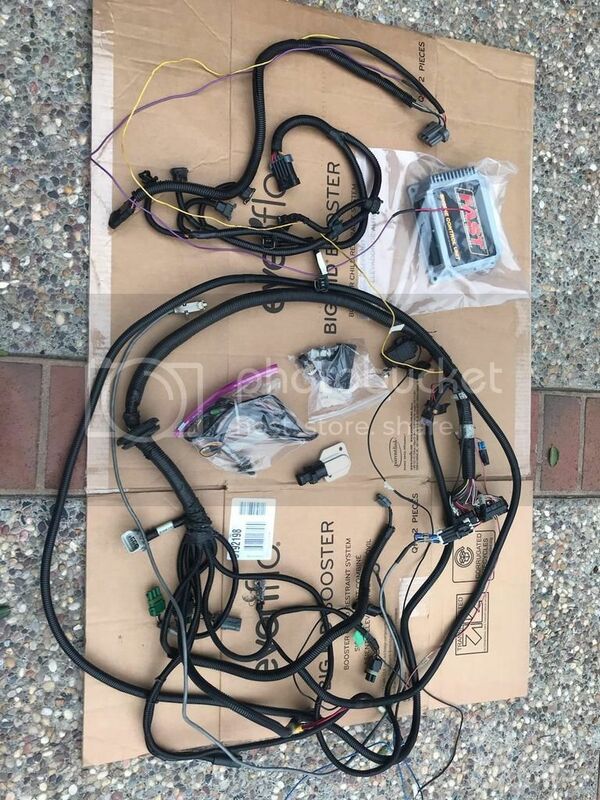 will come with everything you need to run, 3 bar map sensor, AIT sensor, CTS sensor, AIC sensor and FORD adaptor to run a GM sensor in the ford Tbody..(paid like 120$ for it) never came when i originally purchased the FAST...wideband 02 sensor.. THE HEART BEAT STOPS HERE!